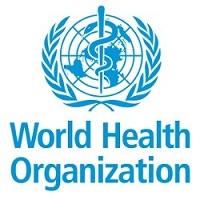 THE OFFICE OF THE WHO REPRESENTATIVE IN TANZANIA ANNOUNCES THE FOLLOWING VACANCY. Grade level : NOC as per United Nations salary scale. Under the direct supervision of the WHO IVD Focal Person. and overall supervision of the WHO Representative (WR). the incumbent will perform New Vaccines Surveillance functions as they reldte to Immunization and Vaccine Preventable Diseases Surveillance in the country. The incumbent will work closely and interact with Ministry of Health IVD Unit, New Vaccines Surveillance Sentinel Sites, WHO Zonal IVD Offices and WHO Regional Office to ensure the required indicators are achieved. 1. Provide technical guidance to the Ministry of Health on the implementation of surveillance activities for Vaccine Preventable diseases (VPDs) in accordance to defined international standards. 2. Support the Ministry of Health to assets quality of data and performance of sentinel surveillance sites for VPDs on monthly basis and share feedback with the sites. 3. Ensure all specimens collected at sentinel sites laboratories are timely tested, results are linked to the case notes and all positive samples are sent to the National Health Lab for quality assurance and for further testing. 4. Analyze and interpret trends for VPDs, share findings with the IVD program and relevant stakeholders so as to guide actions on improving program delivery. 5. Support in timely compilation and submission of quarterly progress reports. 6. Perform other duties as may be assigned by the supervisor. Desirable : Post graduate degree in Public Health preferably in epidemiology or other related public health fields. Experience in disease surveillance prevention and control at national and/or international level. Essential :-At least 5 yean of experience in Medical Sciences, Statistics, Epidemiology and Research activities. • Communicating in a credible and effective way. • Fostering integration and teamwork. • Respecting and promoting individual and cultural differences. • Building and promoting partnerships across the organization and beyond. • Strong analytical skills and good judgment. • Sense of prioritization and attention to detail. • Ability to liaise with people at all levels and to proactively search for information. • Self-motivated, flexible and able to innovate. • Ability to write in a clear and concise manner, and to present factual information. Under the supervision and general direction of the WHO Representative for Tanzania, the laboratory technical officer will provide HIV-TB-Hepatitis laboratory support to the Ministry of Health, Community, Development, Gender, Elders and Children (MoHCDGEC). Engage the MoHCDGEC and support development of the national implementation strategies. S/he will also foster linkages with stakeholders and laboratory networks. Facilitate implementation of programs, partnerships and activities that support scale-up of laboratory services. Monitor progress in implementing testing scale-up: and establish quality assurance (QA) programs. 1. Provide technical guidance in the development, implementation, monitoring and review laboratory policies and strategic plans. 2. Work with MoH to develop and implement the national laboratory quality assurance system encompassing both public and private sector. 3. Support implementation of HIV viral load scale up plans and monitoring of sample transportation systems. 4. Provide technical support in country adaptation of the WHO viral hepatitis testing guidelines and incorporating HBV and HCV rapid point of care diagnosis in routine patient care. 5. Strengthen AMR surveillance by supporting implementation of the WHO global strategy for HIV drug resistance (HIVDR) and establishment of laboratory systems to support surveillance for MDR/XDR TB. 6. Perform any other duties assigned by the WHO Representative. MSc degree (PhD is preferred) in biomedical sciences (Biochemistry, Molecular Biology, Immunology and /or Virology) from accredited institutions. Essential:-At least seven years' experience working in the field of HIV diagnostics and monitoring, early infant diagnostics and TB diagnostics Experience in a national and/or international context, in biomedical laboratory sciences in the area of quality management systems (QMS) implementation towards accreditation, HIV, viral hepatitis diagnosis and monitoring, HIV drug resistance, including expertise in working in resource-limited settings. Other Skills (e.g. IT): Excellent knowledge of Microsoft application e.g. Excel, Word, Power Point, outlook, etc.